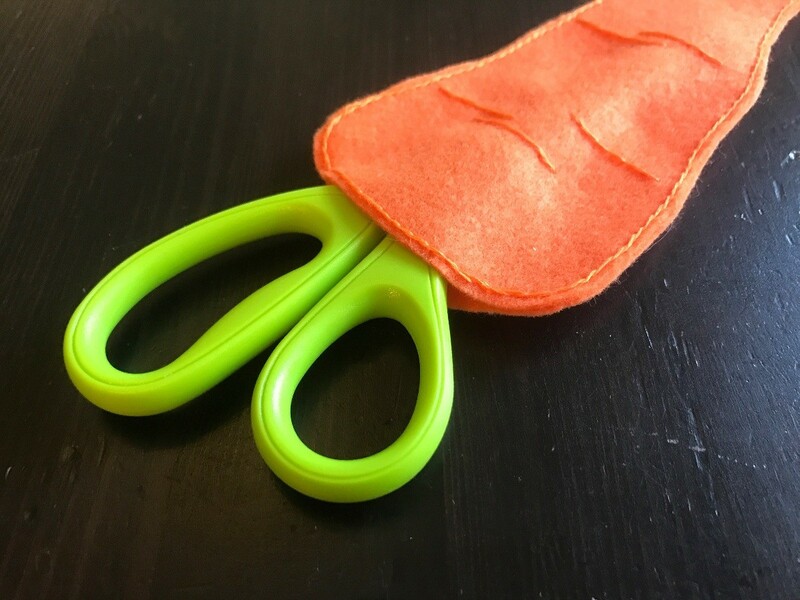 This cute felt carrot pocket makes a great cover for scissors. When your scissors aren't in use, just slip them into the pocket and store them until needed. To make you own custom template, lay your scissors onto a piece of cardstock and draw a carrot shape around the scissors as shown. 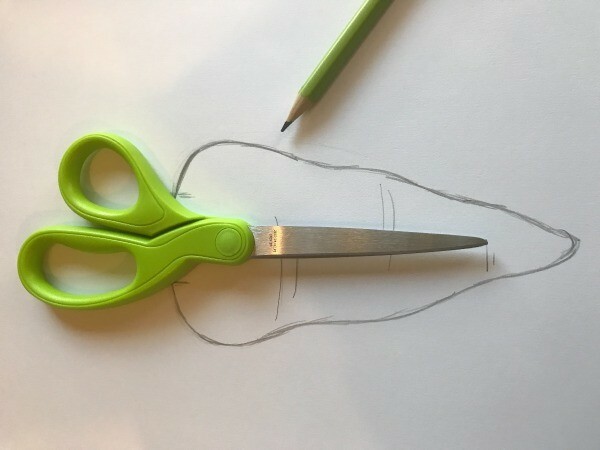 That way you will get a custom fit for the length of your scissors. Make marks on either side of the handle, for the opening when you sew the two pieces together. 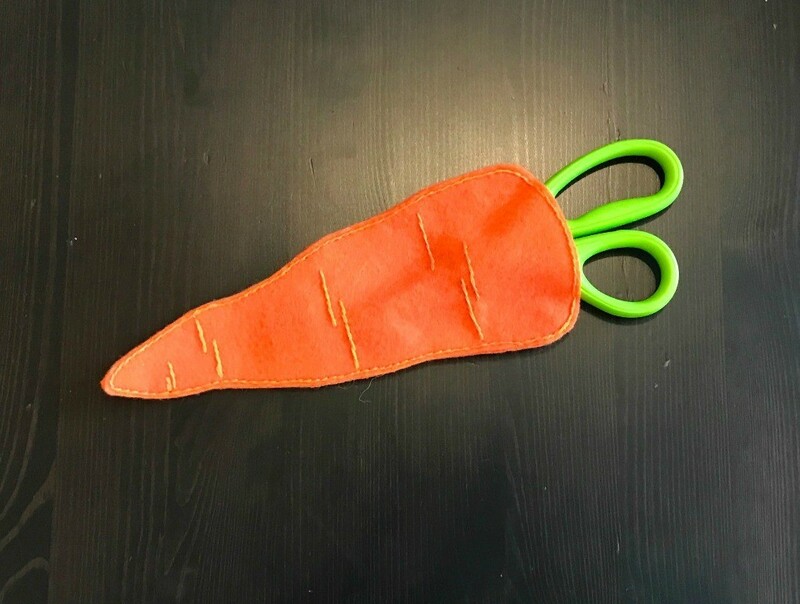 Stitch the carrot details onto the front piece first, then stitch the two pieces together around the edge (using a backstitch). At the opening, only do the backstitch on the front piece.